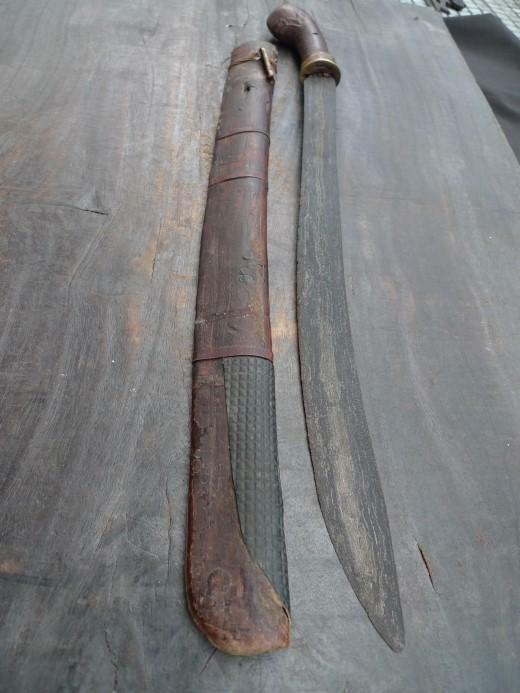 WE 01322: An antique Parang Sumbawa from Lesser Sunda island, blade remains sharp and sturdy, decorated with pamor Janur Sinebit. 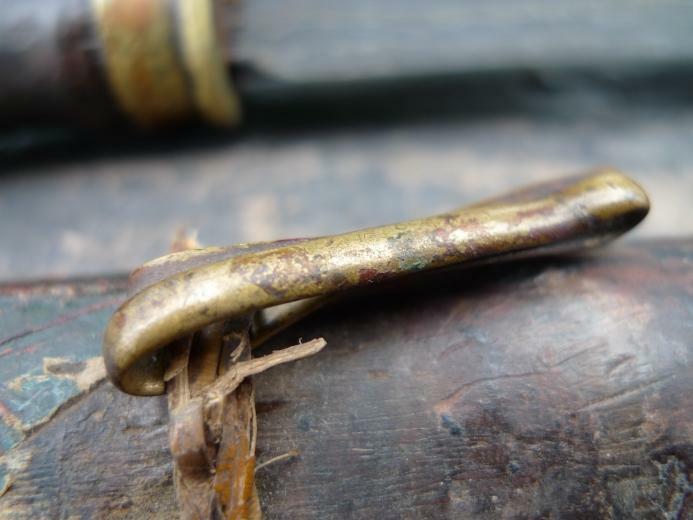 The Pendongkok/Hilt Collar as well as the clip(behind scabbard) are all made of brass/bronze material. 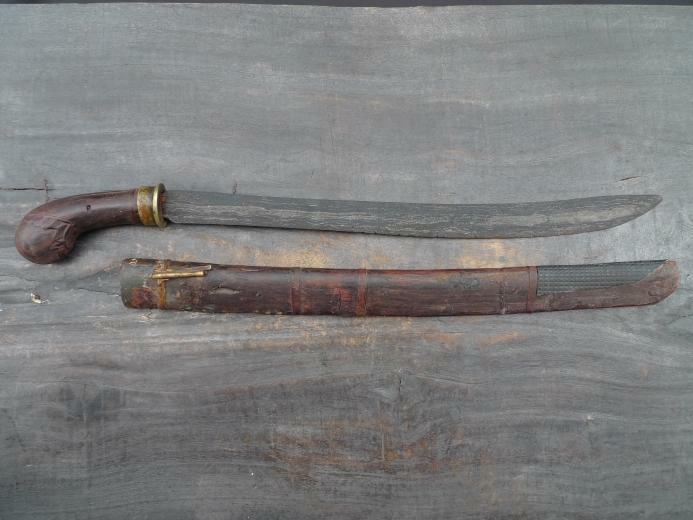 Scabbard and hilt made from wood, there may be some damage on the scabbard(covered area-Im not sure as Ive never open it) but otherwise the sword is in good and solid condition. 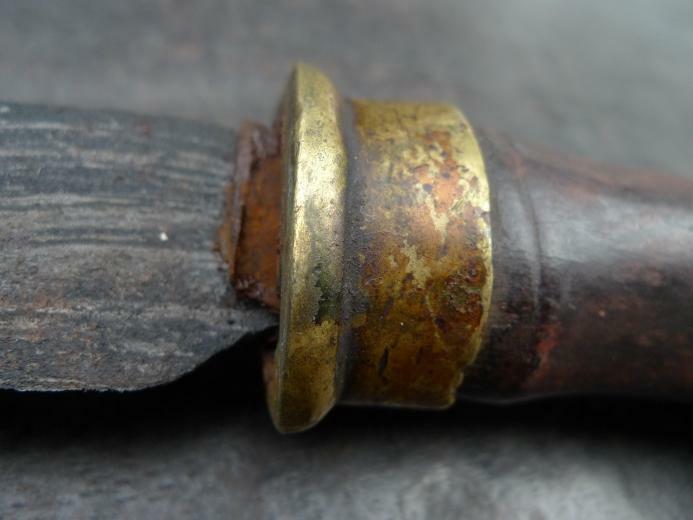 A spectacular piece for serious collectors.Circa 1850-1900. 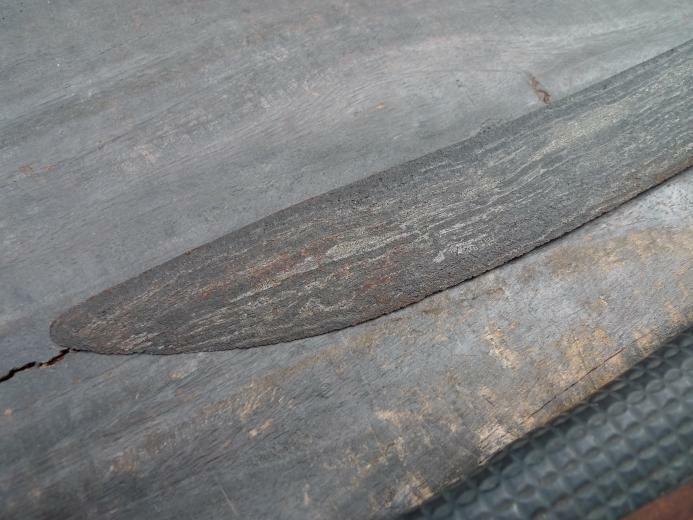 The pamor or damascening is the pattern on the surface of the blade. 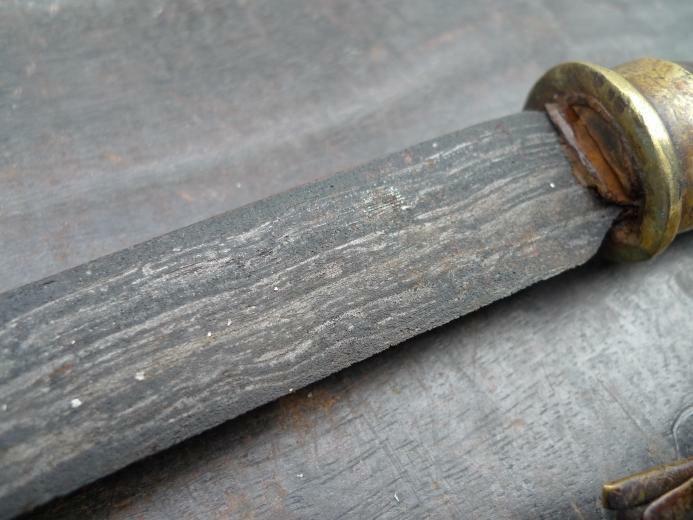 The pamor is the most important part of the sword, as according to common belief, it has strong magic power and influence of one pamor pattern is not the same as that of another. 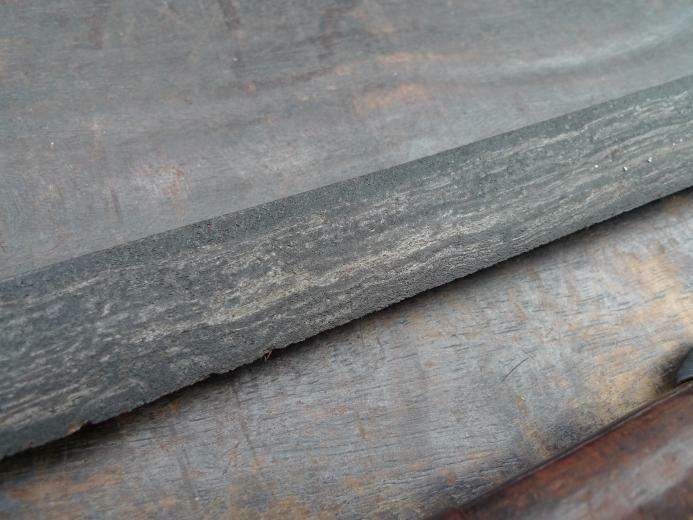 Blade remains sharp and sturdy,here may be some damage on the scabbard(covered area-Im not sure as Ive never open it) but otherwise the sword is in good and solid condition. A spectacular piece for serious collectors. 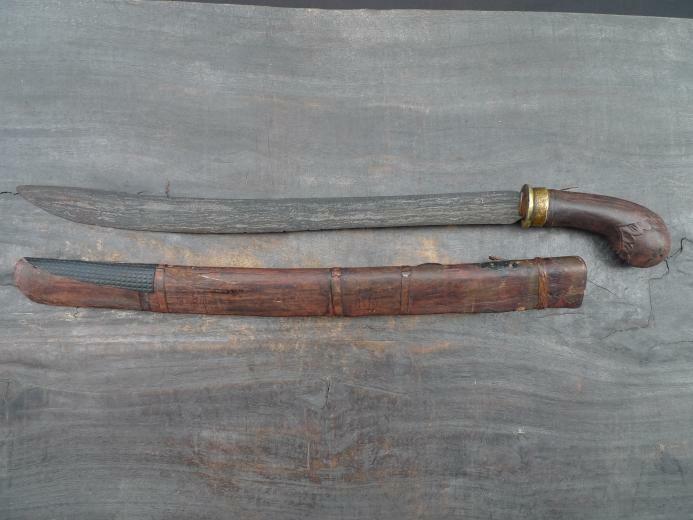 Items Similar To "PEDANG SUMBAWA Antique Golok Sword Knife Parang Weapon Arms Lesse..."